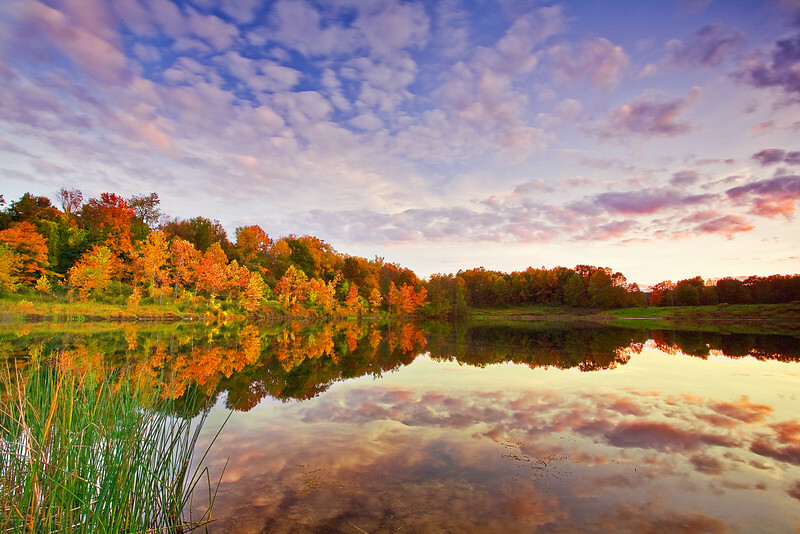 Upper Penninsula of Michigan is considered amongst three or four best locations for fall colors photography in North American. As comparing to other hot destinations for foliage, the penninsula has more water space and much low in population. I went to Dearborn, MI for a meeting in the beginning of October 2009. After the conference, I drove north and spent 1 week in Upper Peninsula of Michigan to see the fall colors in this part of the country: Traverse City - Pictured Rocks National Lakeshore - Porcupine Moutains - Para Marquette State Forest - Cuyahoga National Park, OH. The timing appeared good and the weather was cooperated.